Mit der Smartfox Mikrowellenhalterung können Sie Ihre Mikrowelle einfach an der Wand befestigen und verschaffen sich so mehr Platz in der Küche. Die zwei Haltearme haben eine maximale Belastungsfähigkeit von 35kg und sind von 24-40cm flexibel einstellbar. Material: rostfreier Edelstahl Höhe: ca. 20cm Breite (pro Arm): ca. 4cm Armlänge: ca. 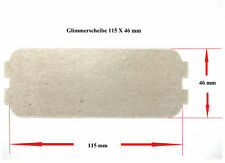 150mm x 150mm sheet of universal mica waveguide material for repairing microwave ovens. The sheet can be cut and trimmed to size as required. Product Name : Tray Support; Main Color : White Main Material : PPS Ring Dia: 6.9" Package Content : 1 x Microwave Tray Support Brand Unbranded MPN Does not apply UPC 4894462381434 EAN 4894462381434 ISBN 4894462381434 Designer/Brand Unbranded UPC 4894462381434 EAN 4894462381434 ISBN 4894462381434. 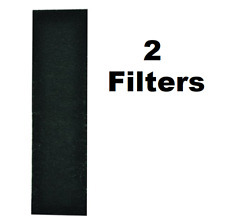 Universal fits for Microwaves requiring a 255 mm glass plate. WB24X823 "Switch - primary & secondary". WB24X10029 "Switch, Interlock". WB24X10047 "Switch Primary Interlock and Door". WB24X10071 "Switch Micro". WB24X829 "Door Sensing Switch". The switch in the photo matches the switch you will receive. VERSIONE: EU. CODICE: 0119411705. CODICE: 0119411704. VERSIONE: RU, INT, IR. Trascinatore / perno per piatto microonde. Länge der Antriebsachse: 18 mm. für Mikrowelle. Achsform: Kreuzform. Höhe (ohne Achse): 16 mm. Achs-Ø max. : 7 mm. Von Bauknecht-Whirlpool. Schalter Mikroschalter. in Papierform dem Paket bei. Selbstverständlich mit gesetzlicher Gewährleistung von 2 Jahren. aus Lagerauflösung. Original Ersatzteil. YOU ARE BUYING A NEW MICROWAVE OVEN TURN TABLE SYNCHRONOUS MOTOR. THE PLASTIC SHAFT IN THE BACK IS HALF MOON SHAPE AND 3/8" LONG. 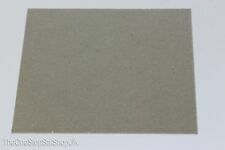 THE THICKNESS OF HALF MOON SHAPE IS 5mm. PART NUMBERS: TYJ50-8A19. 4/4.8 r/min. Normal ly open. 0.6A 125VDC 0.3A 250VDC. You are buying a new microwave oven door micro switch. make sure you need a normally open switch. COMPLETE WITH ROLLER RING. 3 LUG TYPE. AS IN THE PHOTOS. We do not honor any manufacturer’s warranties. If the concerns originated at our end, it is our responsibility to make it right and we will. 240Volt 25W. WILL NOT FIT 120 VOLT MICROWAVE OVENS. Two straight connectors. You are buying a door micro switch. 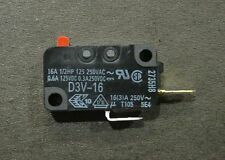 0.6A 125VDC 0.3A 250VDC. 16A 250V ~ T130 5E4u. Codice: MJ1416. Motorino piatto forno a microonde De Longhi. 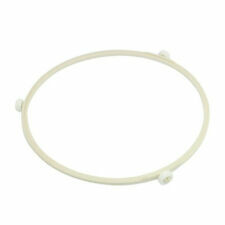 Adattabile a Forni a Microonde Candy,De Longhi,Whirlpool,LG,Samsung. CODICE: 0119417903. VERSIONE: IT. CODICE: 0119417902. VERSIONE: RU, INT. Geeignet auch für viele andere Mikrowellengeräte. 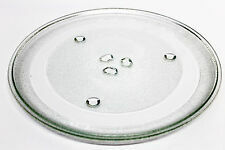 Genuine Panasonic Microwave 255mm Glass Turntable Plate - fits many other microwaves. A fan is attached to this motor, where it will move air around inside the microwave and direct it around the appliance. Suitable for select Panasonic models. 220-240 volts. 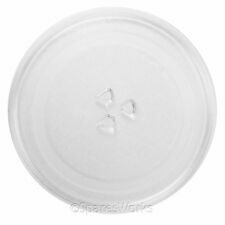 Samsung Microwave Oven MC17F808KDT "LAMP COVER"